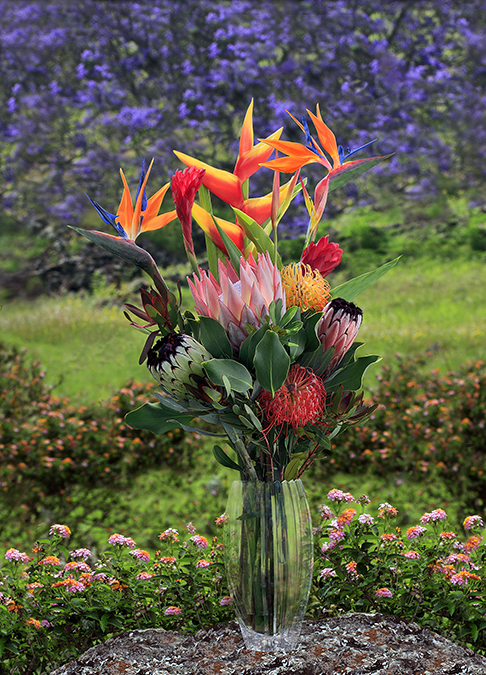 15 piece mix of proteas and tropicals, 10 blooms and 5 foliage pieces. Container IS NOT INCLUDED. Price includes FedEx 2-Day Delivery.